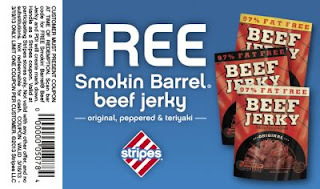 Get a free Smokin Barrel Beef Jerky. Click the link below to go to the stripes coupon page. Print your coupon & take it to your nearest Stripes Store to redeem it by March 18th, 2013.